Despite scant funding and a lack of publishing expertise in the country, media outlets in Libya witness an unprecedented boom sparked by the revolution. Before the revolution, the press was tightly controlled. 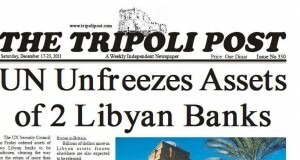 In its 2010 press freedom index, Reporters Without Borders put Libya at 160th position out of 178 states. 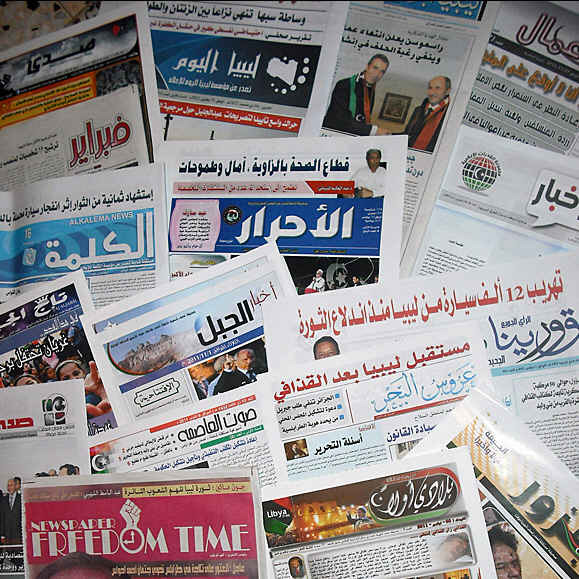 The media landscape, which has long been dominated by the government Public Press Authority, now boasts more than 300 dailies and weeklies, with about 180 issued in Benghazi. Many new outlets receive funding from civil society, local councils and businessmen. The National Transitional Council (NTC) also provides assistance to journalists. 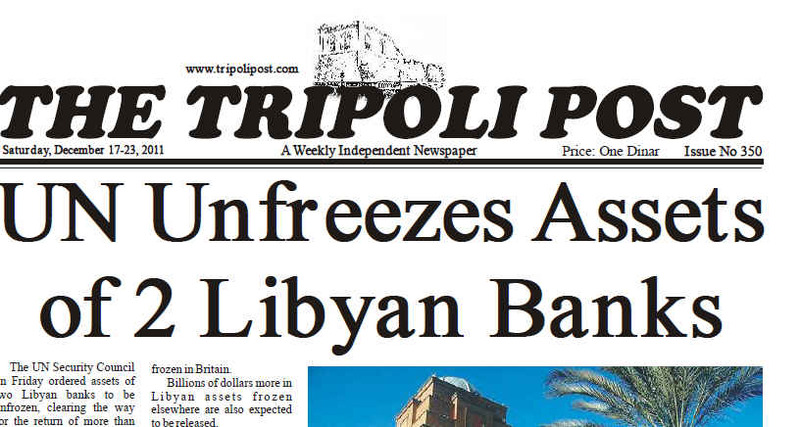 I didn’t know that there are many new newspapers in Libya, good for them. But I wonder how the education system will be shaped to train journalists. I hope they will establish their own media, rather than copying from the western media. Also, what about “foreign investments” in Libya’s new TV stations? Wow, now the news is another trend, and a lot of talk by the public. how the country before the revolution?